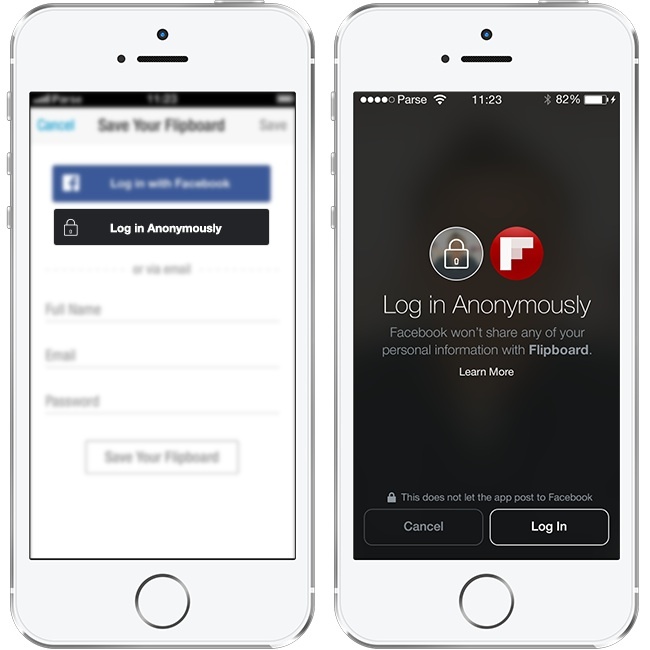 Will Facebook’s Anonymous Login protect your privacy? Facebook is now trying to regain the trust of its users who have grown doubtful about the way the social network handles privacy. The new approach is also geared towards generating more revenues. The new feature it unveiled this week at F8 is the Anonymous Login, which is self-explanatory. But does it exactly make your Facebook login anonymous? Let’s get to the core of things. Users of Facebook have long been raising concerns about the poor privacy protection they get from using the site, which has exposed their personal information to third-party apps that they access using a Facebook API (application programming interface). This has been driven by a mutual agreement between Facebook and app developers to provide access to private user data such as birthdates, friends list and Facebook activities. In exchange, those developers agreed to implement Facebook log-in as an option to access their products. No sooner did it spark anger among Facebook users. They felt their information is being sold: they constantly receive uncalled for notifications trying to convince them to subscribe to all other apps offered by developers. On other hand, the social login has also helped in reducing the time it usually takes to sign in to an app because of the single account requirement for doing so, only at the expense of your personal data. With the newly minted Anonymous Login, Facebook users – more than one billion of them – will be able to control how much of their non-public information can be accessed by third-party apps and sites upon sign-in. The feature displays a black button right below the usual Facebook blue, providing an optional login that does not expose your personal info to other apps. Well, not exactly. Facebook will carry on with the traditional business of collecting data such as names and email addresses. Besides, nobody said email addresses are not personal information. The social media giant will also collect data about an app that users would often visit in order to target ads. Nonetheless, the move is quite a leap in terms of responding to users’ demand for a more tight privacy setting, On the business aspect, Anonymous Login poses a downside to Facebook’s advertising scheme because somehow the data they will have access to will now be limited. Good thing Facebook also recently unveiled the new mobile ad network for developers to gain insights into Facebook’s user base in order tailor ads for targeted audiences. So it is still a win-win approach for both Mark Zuckerberg and app developers.